When you have people gathering online to discuss common topics, whether on social media or other forums, you have the seeds for building an online community. Where you have an online community, you have the potential for actions, reactions, and interactions. None of these activities is exclusively an aspect of social media engagement, but they’re common to all online communities where people gather, including web-based online forums or groups. Facebook Groups: Focus on discussions among members (despite their similar appearance to Facebook Pages and Timelines) and can feature members at the top of the page. 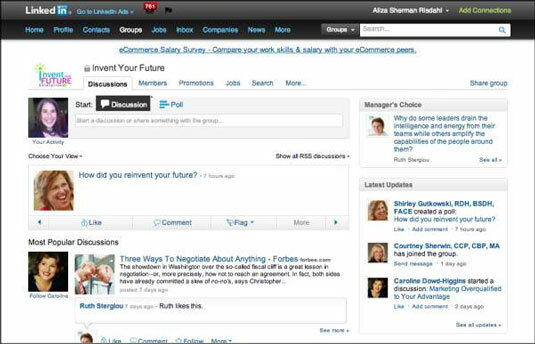 LinkedIn Groups: Facilitate information exchange, and networking among LinkedIn members — usually, professionals. 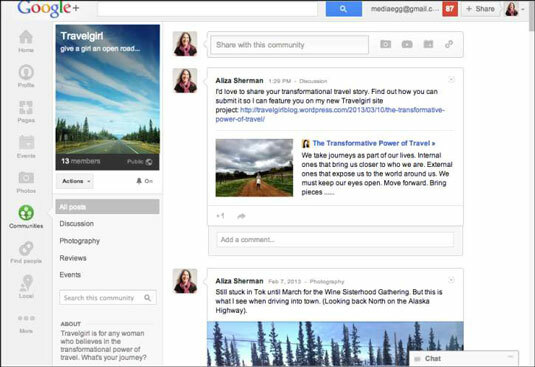 Google+ Communities: Build your audience on G+ through their Communities feature similar to LinkedIn Groups. Most social networks provide you with the tools to create more contained, or even private, members-only forums for ongoing discussions. Facebook Groups offers two privacy levels: Private (others can see your group listing but you must approve requests to join) and Secret (your group isn’t listed publicly so you must invite others). LinkedIn has a single private level; you approve requests to join. In early 2013, Google+ introduced Communities that offer a privacy level for member approval. Twitter lets you make your Twitter account private but does not offer a group feature. A focused topic area or theme: Conversations in the best forums remain on topic. Like-minded or interested people: People join groups voluntarily based on their interests and needs. Strong community leadership: A good moderator keeps the discussion going with a light touch so that everyone feels welcome to the conversation. Clear community rules: Every group needs publicly posted guidelines that define proper behavior and spell out bad behavior. Fair policing: Many online communities police themselves, admonishing or removing individuals who post inappropriately, and others let moderators ban people. See Online Community Management For Dummies by Deborah Ng (John Wiley & Sons, Inc.) to get the nitty-gritty on managing an online community, whether it’s based within a social network or not. A benefit of setting up a group in a social network such as Facebook or LinkedIn is that you can build an online space for people to gather that feels like a cohesive community. Building a community on a Facebook Page, for example, is challenging because of the way Facebook limits people from seeing your messages and from seeing other people’s posts on your Page. The limitations of Facebook Pages hinder group-wide discussions. On a Page, most community conversations take place in a disjointed manner within the comments of various Page updates. People tend to Like a Facebook Page to show their affinity for a brand, though they may also want to interact. 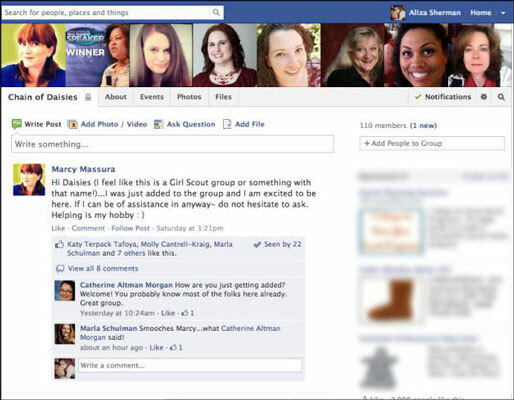 They join a Facebook Group specifically for the interaction among members. People connect with you on LinkedIn to add you to their contacts and likely don’t interact with you regularly. They join your LinkedIn Group to engage in dialogue — with you and with other members of the group. People are more likely to look forward to the conversations and respond in more depth when they join groups with the intention of participation.